The way to a person's heart is through their stomach. 1. 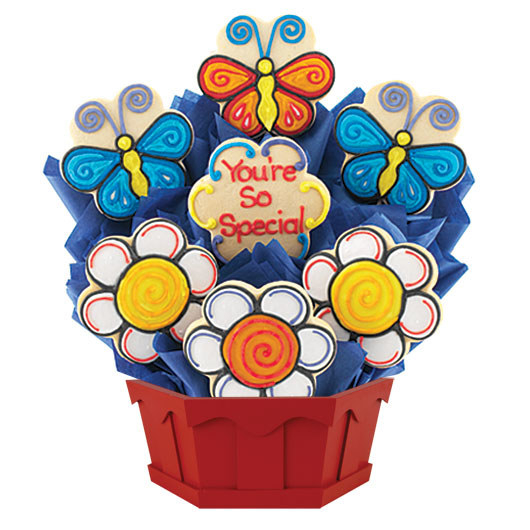 1-800 Flowers has more than just floral arrangements – you can order an awesome basket filled with all sorts of treats the recipient will be happy to open up. Shipping: Free shipping or no service charge on select products when using promo code COMPSHIP at checkout. 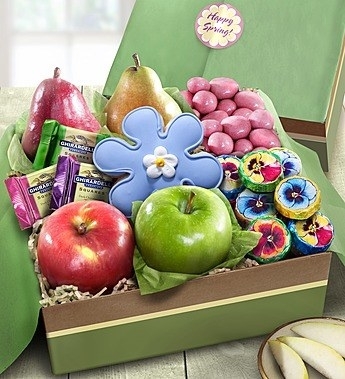 Get the spring fruit & treats box (left) for $39.99 and the all smiles sweets & treats gift basket (right) for $24.99. 2. 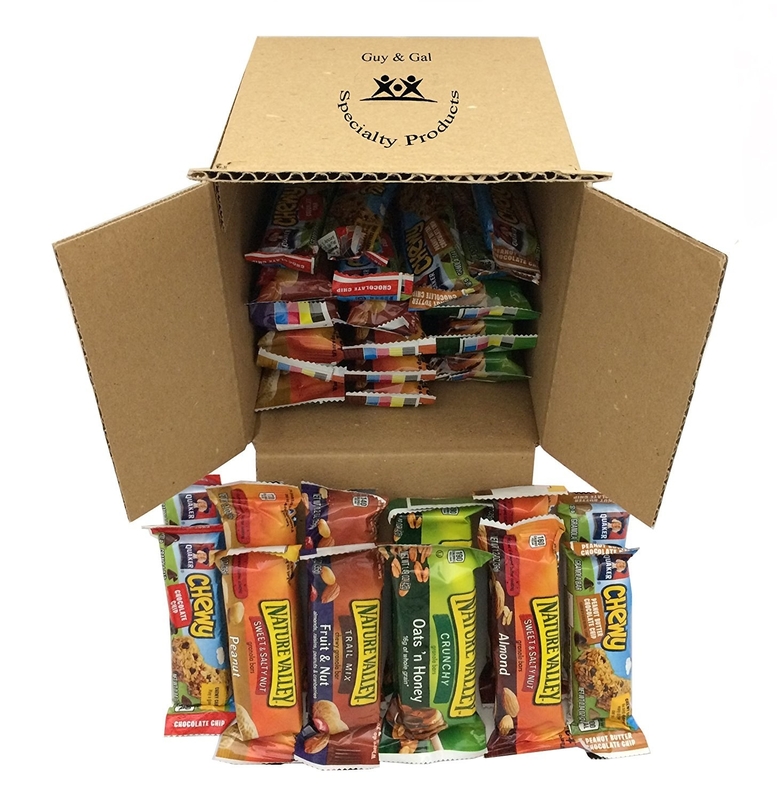 Amazon offers a ton of options like boxes of comforting snacks and others filled to the brim with granola bars. 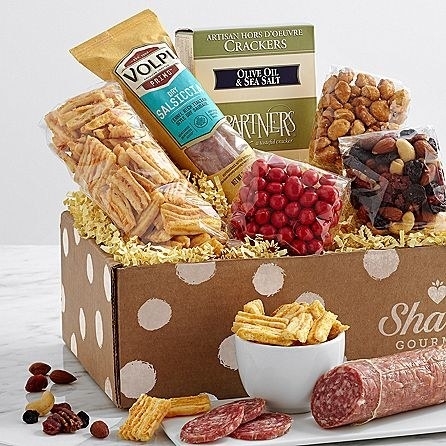 What they have: snack food gifts, candy and chocolate, mixed nuts, and plenty more delish items! Shipping: Free two-day shipping for prime members on select items. Shipping costs depend on order total. 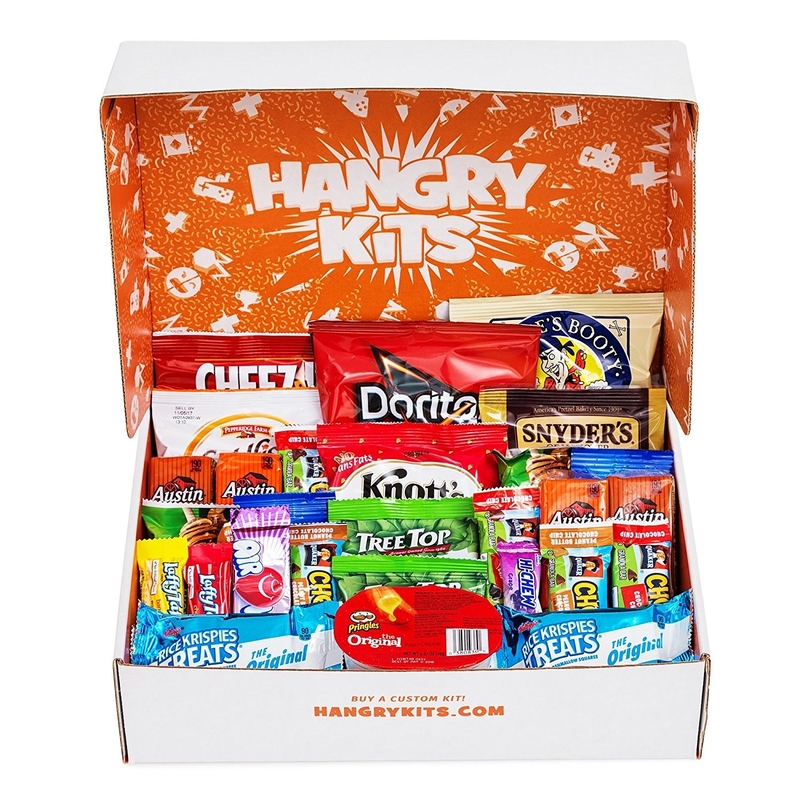 Get the hangry kit (left) for $24.99 and the granola bar bundle (right) for $24.99. 3. 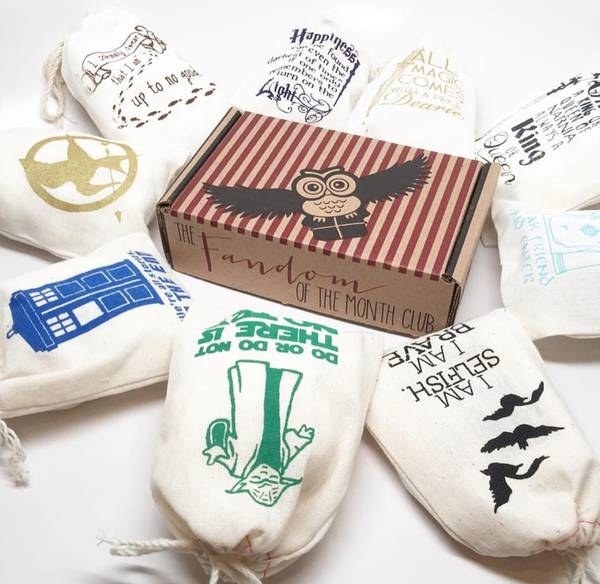 Cratejoy sells pretty much every subscription box you could think of, and subscription boxes make for an awesome care package. Whatever it is the person is into, Cratejoy carries the perfect subscription box to fit their interests. What they have: Food and beverage boxes, geek and gaming boxes, fitness boxes, art and culture boxes, beauty and fashion boxes, book boxes, and more! Shipping: Costs vary based on location and order, but you can use Cratejoy's shipping calculator to estimate how much your order total will be. Get the Fandom of the Month Club subscription (left) for $13+/month and the Lush Bites gluten-free cookie subscription (right) for $19.99+/month. 4. Walmart has quite the smorgasbord of gift packages to choose from that are jam packed with delicious snacks and other fun treats. What they have: cookies and chips, fruit baskets, and more! Shipping: Free standard shipping on orders over $35. Some products qualify for free two-day shipping as indicated on the item's landing page. 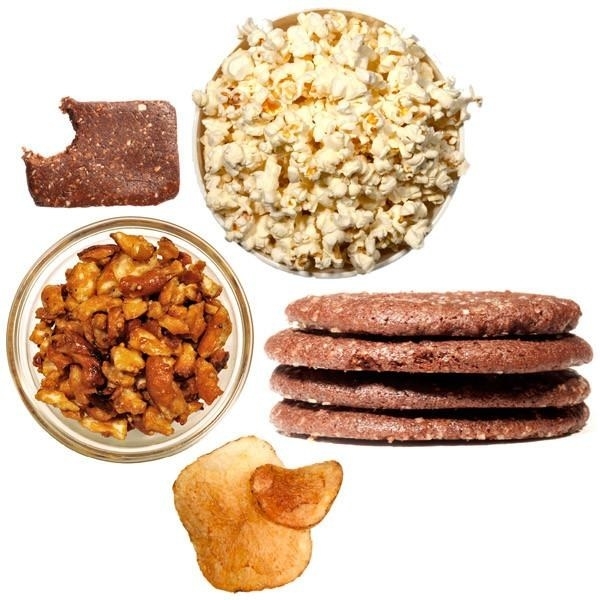 Get the blockbuster night movie care package for $38.99 (left) and the healthy snacks college care package for $39.99 (right). 5. 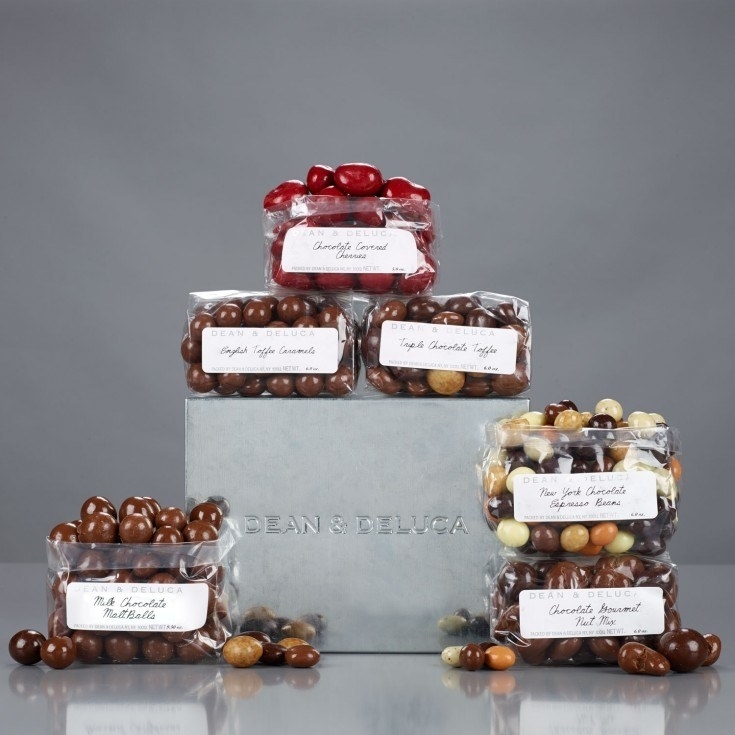 Dean & Deluca sells all kinds of scrumptious gift baskets that the snacker, baker, and chef in your life are bound to go crazy for. 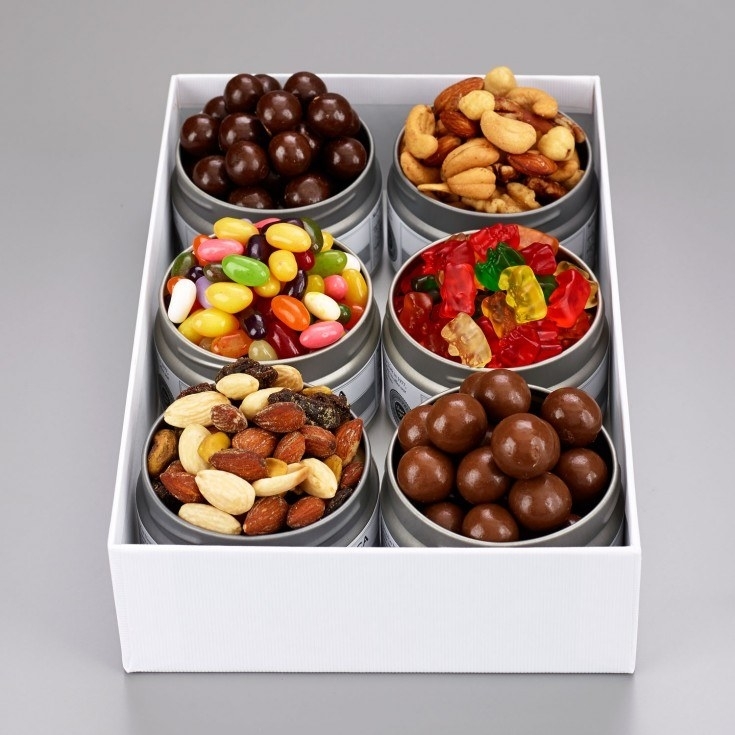 What they have: spice tin gifts, candy assortment boxes, fruit baskets, and more! Shipping: Ground shipping is $12, while expedited shipping options are an extra fee. Get the afternoon chocolate fix (left) for $49 and the snacks on the run (right) for $40. 6. 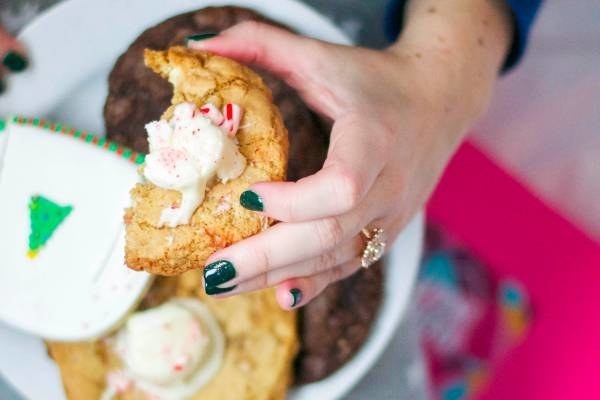 Cookies by Design has just what its name implies – COOKIES! 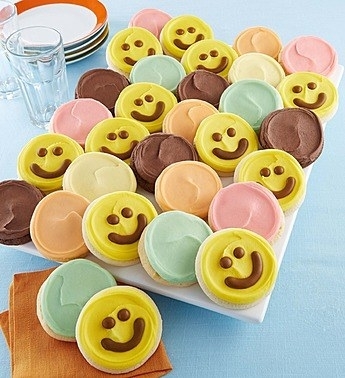 Ones that are decorated so nicely, it's hard to take the first bite, and ones that are just staring them in the face, waiting to be devoured. And they have more than just cookies! Shipping: Costs vary based on location and order. 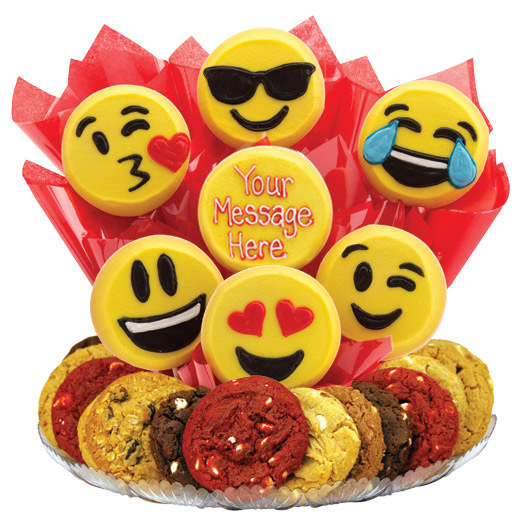 Get the sweet emojis boutray (left) for $48.99+ and the you're so special cookie bouquet (right) for $46.99+. 7. 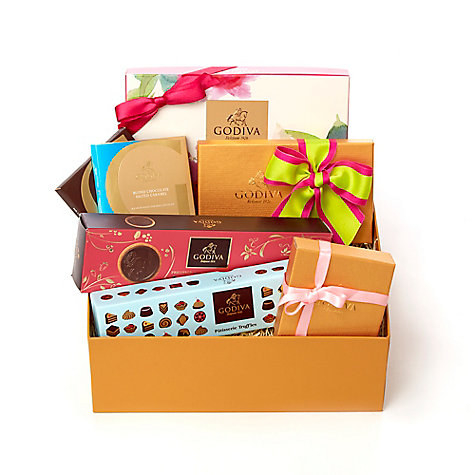 Simply Chocolate sells delectable gifts ready to drive the chocaholic you love into the best sugar coma of their life. What they have: chocolate snacks, truffles, chocolate covered fruit, chocolate dipped novelties, chocolate bars and squares, and more. Shipping: Standard shipping costs start at $7.99 for orders up to $19.99 and go up as order total increases. 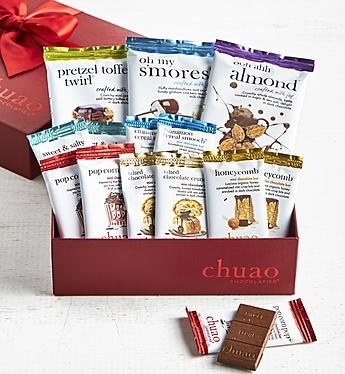 Get the deluxe sumptuous snack basket (left) for $69.99 and the chuao deluxe artisan chocolate bar gift box (right) for $44.99. 8. 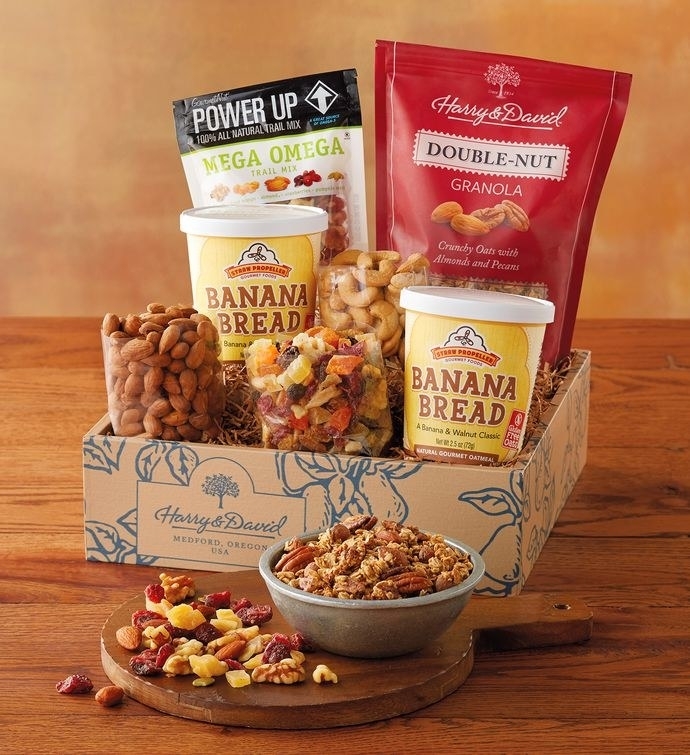 Harry & David offers more sophisticated baskets that'll make as perfect options for special occasions, extra needed pick-me-ups, and birthday presents. What they have: pears and fruit baskets, chocolates and sweets, bakery items, and more! Shipping: Standard shipping costs start at $4.99 for orders up to $15 and go up as order total increases. 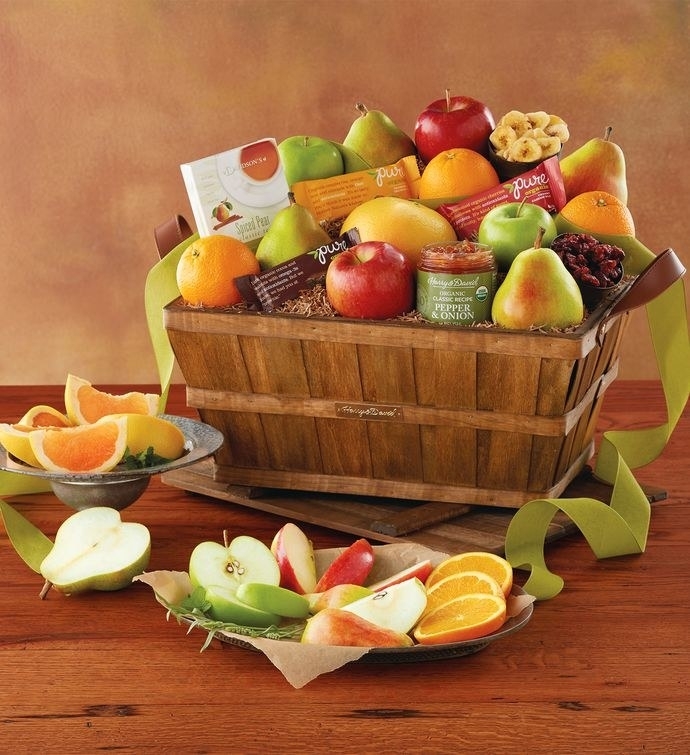 Get the deluxe organic fruit gift basket (left) for $99.99+ and the good choice snack box (right) for $39.99+. 9. 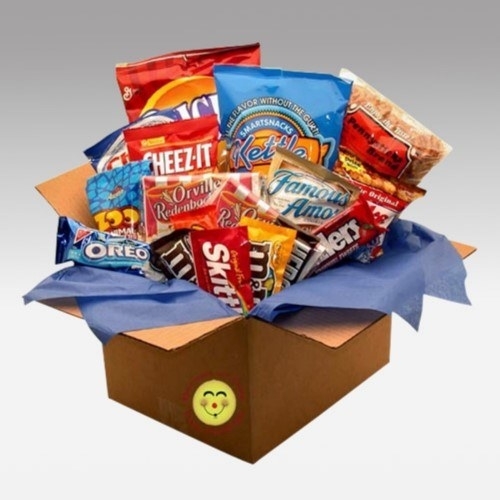 Jet offers a nice mix of boxes filled to the brim with snacks that are loved by pretty much everyone. 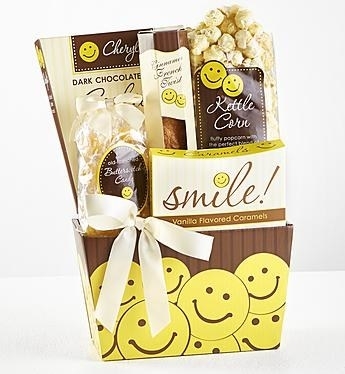 What they have: popcorn and snacks, sweet gift baskets, fruit and nuts, and more! Shipping: Free standard shipping (2–5 days) on orders over $35, and a $5.99 shipping charge on orders under $35. 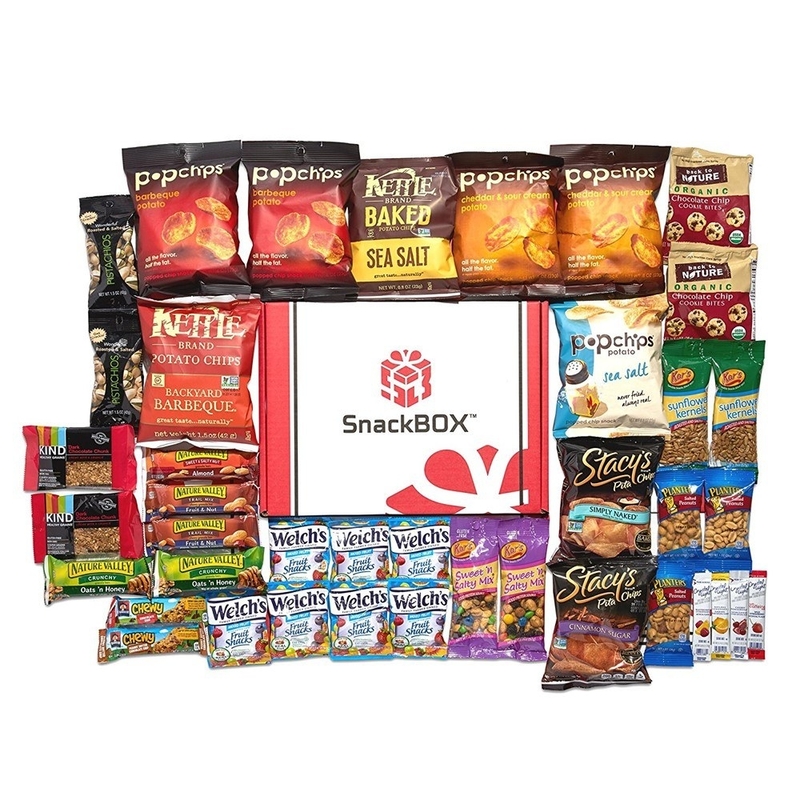 Get the snackdown deluxe snacks care package (left) for $50.67 and the healthy choices deluxe care package (right) for $57.05. 10. 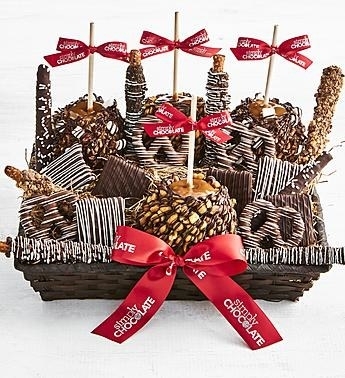 FruitBouquets.com mainly sells sweet fruit arrangements in pretty designs and dipped in chocolate, but they offer other things too like cake pops and donuts! 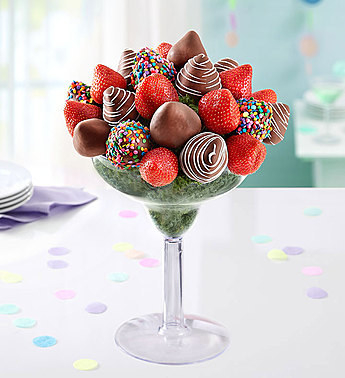 What they have: chocolate covered strawberries, fruit bouquets, and more! Shipping: Shipping costs start at $4.99 for order sup to $14.99 and go up as order total increases. Get the mixed berry margarita (left) for $69.99 and the sweet & delicious fruit basket (right) for $64.99. 11. Gift Tree has everything you need to satisfy the craving of even the most overwhelmed, overworked care package recipient. 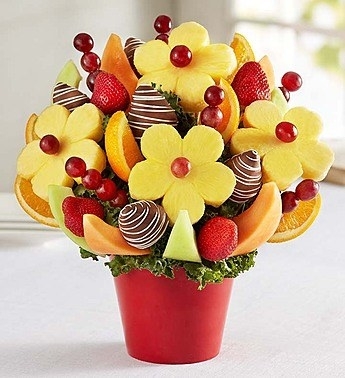 What they have: fruit gifts, sweets and treats, fresh flowers, balloon bouquets, and more! Shipping: Costs vary based on products ordered and shipping location. 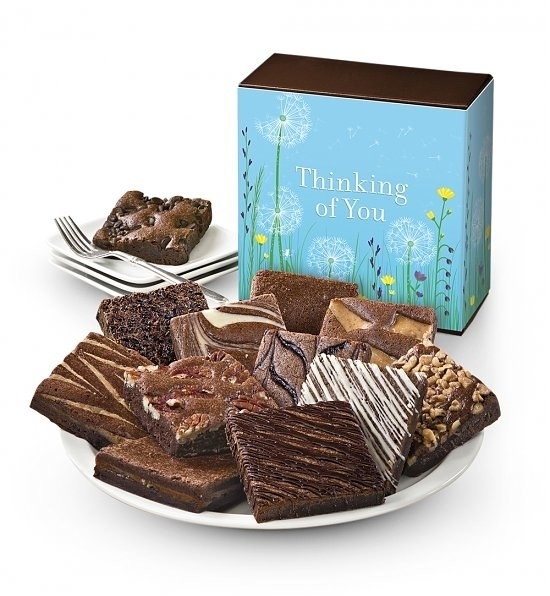 Get the thinking of you brownies (left) for $39.95 and the ultimate cupcakes (right) for $39.95. 12. 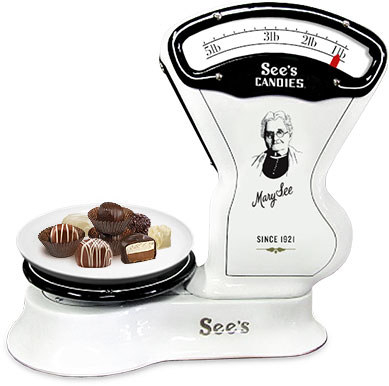 See's Candies offers novelty goodies great for sending as a sugary pick-me-up. What they have: chocolate, brittle and toffee, lollipops, and more! Shipping: Standard shipping rates start at $7.95 for orders up to $25 and go up as order total increases. Get the classic gift pack (left) for $54 or build a custom box (right) starting at $25. 13. 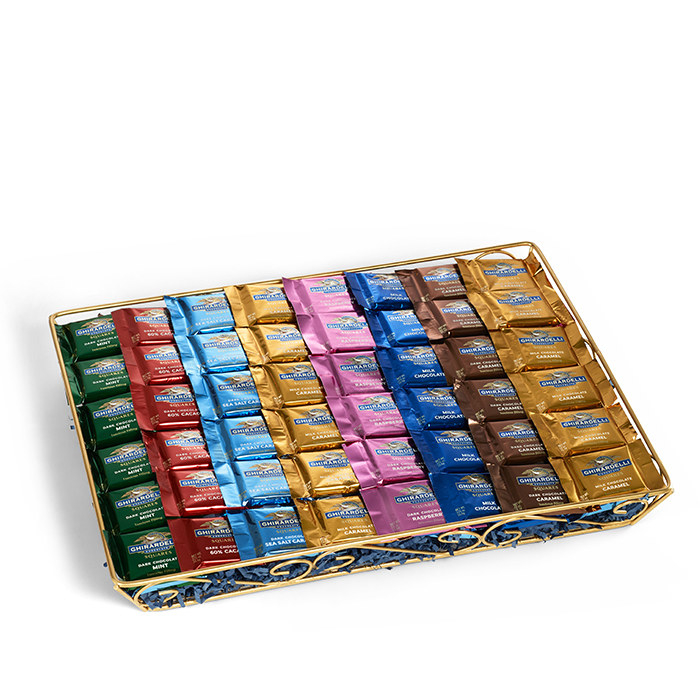 Ghiradelli sells, well you know what they sell, just about some of the most delicious chocolate to ever hit your taste buds. What they have: baskets and towers, tins, boxes, and more! Shipping: Standard shipping costs start at $9.95 for orders up to $24.99 and go up as order total increases. 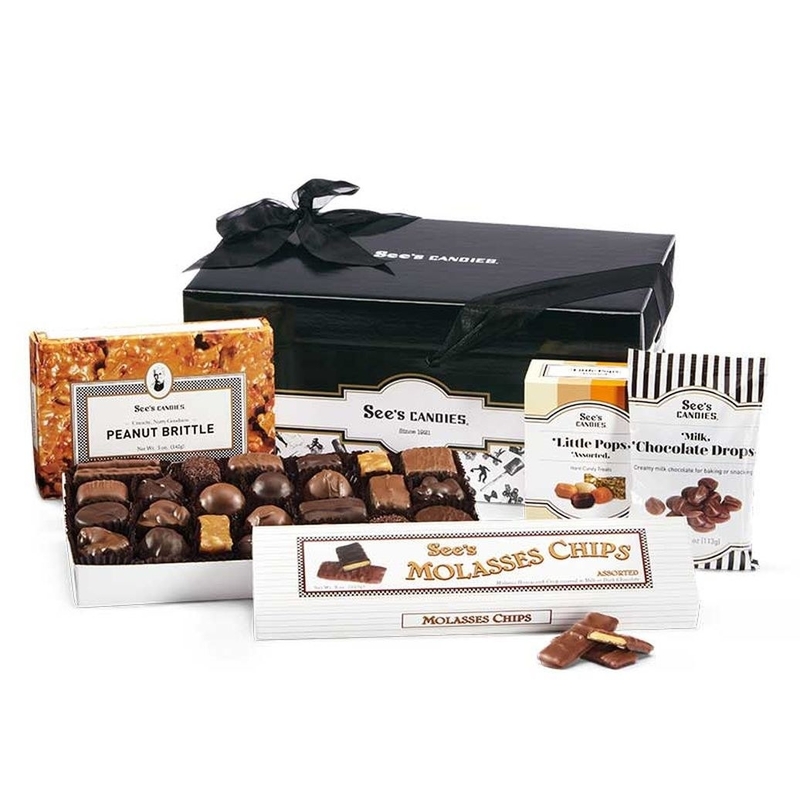 Get the chocolate greetings gift basket (left) for $55 and the ultimate squares gift basket with assorted squares (right) for $75. 14. 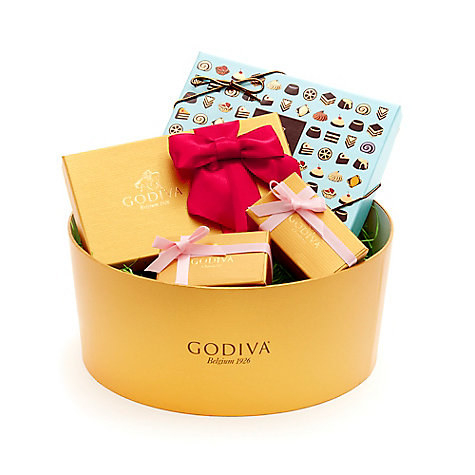 Godiva has some pretty freaking amazing chocolate treats too – their truffles are to die for! What they have: gift baskets and sets, chocolate strawberries, chocolate covered snacks, and more! Shipping: Standard shipping rates start at $7.95 for orders up to $24.99 and go up as order total increases. Get the shades of spring gift box (left) for $100 and the spring treats chocolate gift box (right) for $60. 15. 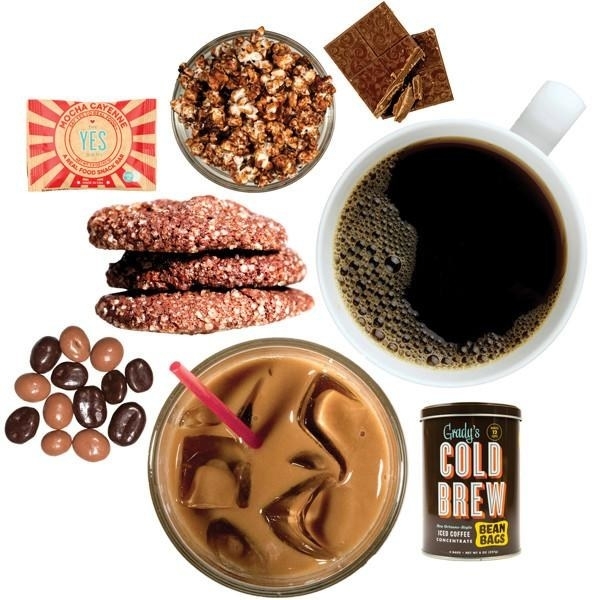 Mouth offers an array of curated boxes to satisfy different palates; from java to chocolate to salty snacks and everything in-between. 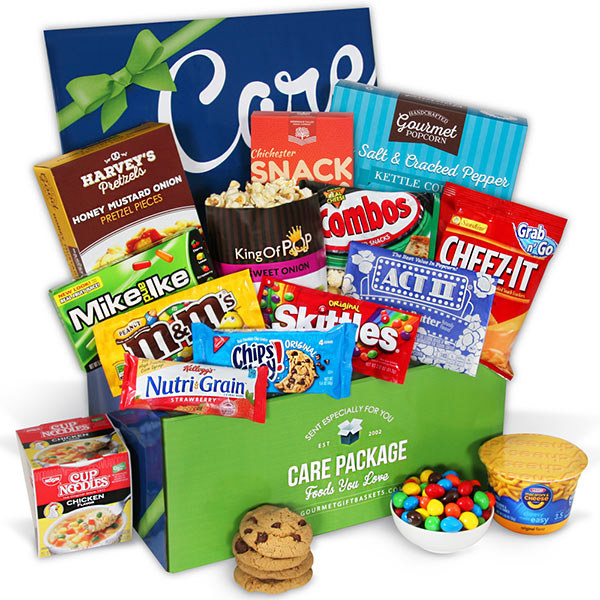 What they have: special college care packages, birthday gifts, subscription boxes, and more! Shipping: Standard shipping is $11.99, with expedited shipping options costing an additional fee. Get the java junkie tote (left) for $83.50 and the dorm munchies tote (right) for $40.50. Shipping: Standard shipping rates start at $6.99 for orders up to $20 and go up as order total increases. Get the happy day frosted bow gift box (left) for $41.99+ and the classic cookie gift basket (right) for $39.99+. 17. 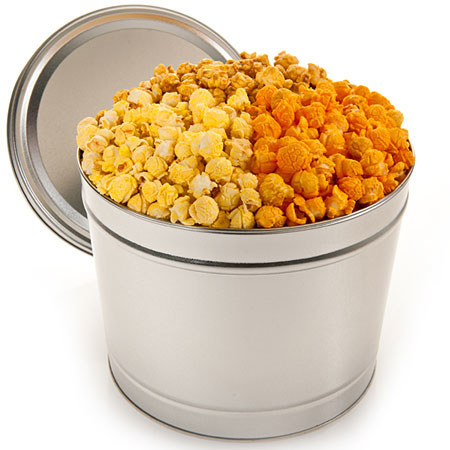 The Popcorn Factory has great selections featuring everyone's favorite salty, sometimes sweet nosh – popcorn, of course! 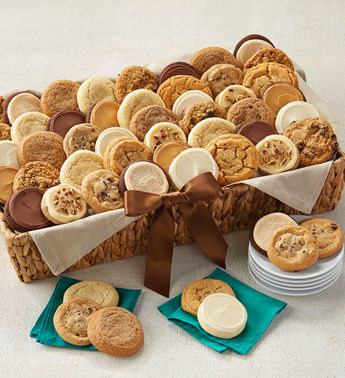 What they have: samplers, towers, and sugar-free/lite options too! Shipping: Ground rates start at $6.99 for orders up to $20 and go up as order total increases. 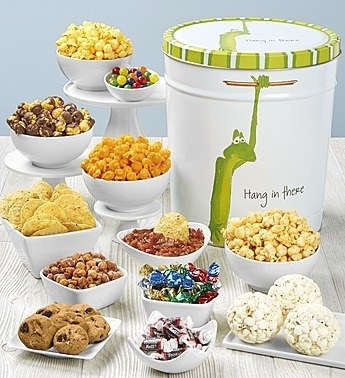 Get the hang in there deluxe snack assortment (left) for $59.99 and the up all night sampler (right) for $49.99. 18. 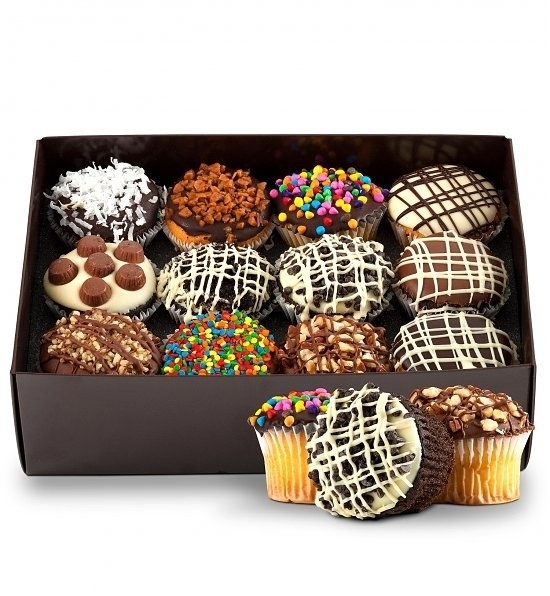 ProFlowers offers yummy gourmet goodies such as cake pops and cookies in addition to their beautiful floral arrangements. What they have: cake pops, cakes and truffles, fruit and snack baskets, decorated cookies, and more delish options. Shipping: Standard shipping rates start at $4.99 and are based on order total and shipping location. 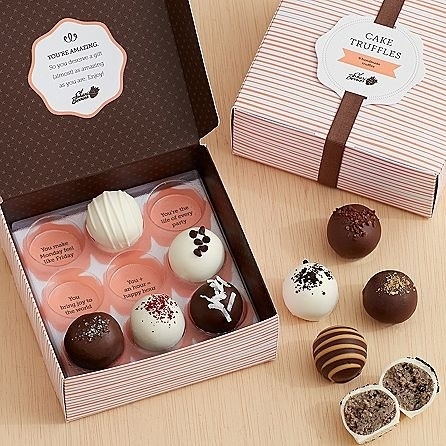 Get the savory snacking gift box (left) for $39.99+ and the assorted cake truffles box (right) for $24.99. 19. 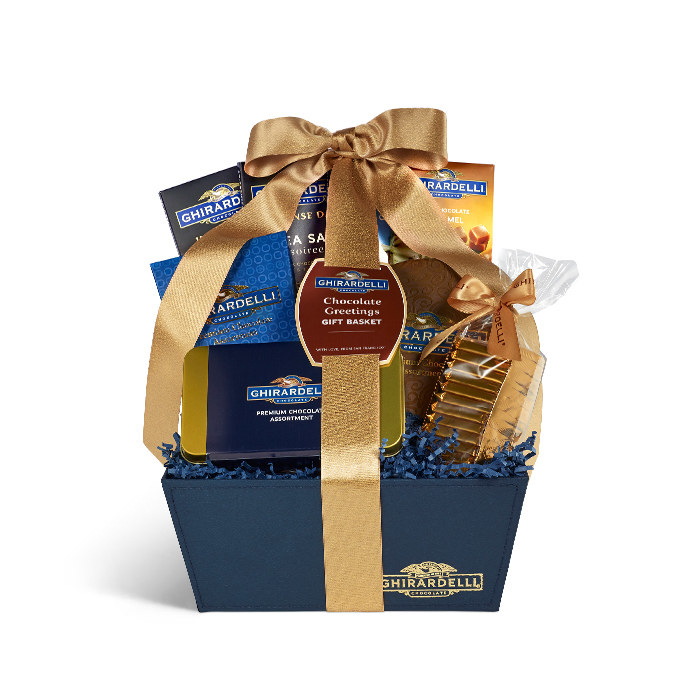 GourmetGiftBaskets.com sells mouthwatering curations perfect for exam time, birthdays, graduation, and more! 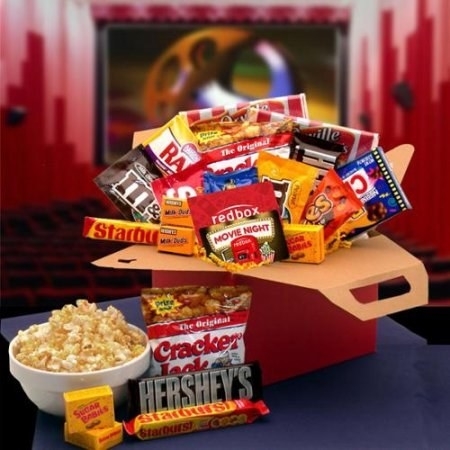 What they have: snack mixes, popcorn, cookies, candy, cheese, and more! 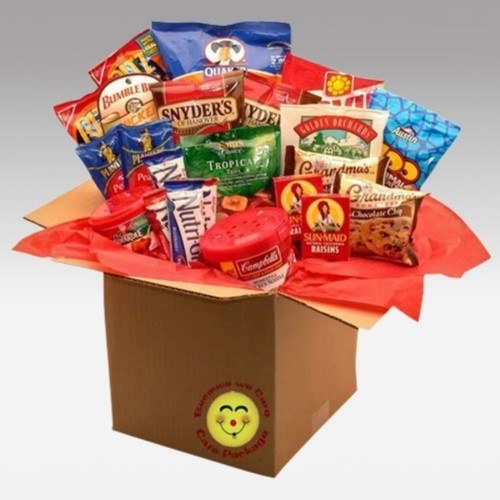 Shipping: Costs vary depending on order total and shipping location, but be sure to check out their selection of free shipping baskets if paying for shipping on an order is something you're totally not into. 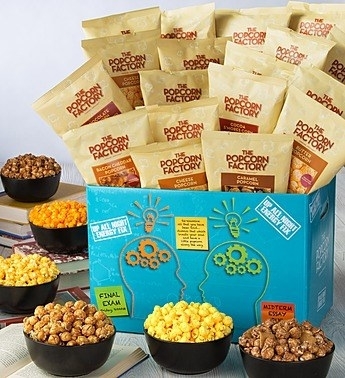 Get the exam cram care package (left) for $44.99 and the gourmet popcorn tin (right) for $19.99+.